I considered that. We haven’t seen an Earth 2 Wally have we? 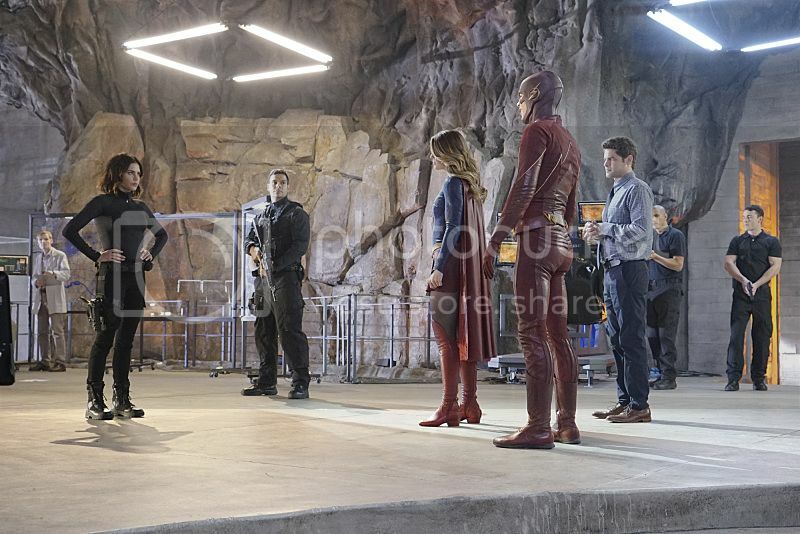 Much like I predicted weeks ago, Barry winds up in an alternate dimension and needs Supergirl’s help in getting him home again. They couldn’t even seem to match the streak style of the actual The Flash special effects for the logo. 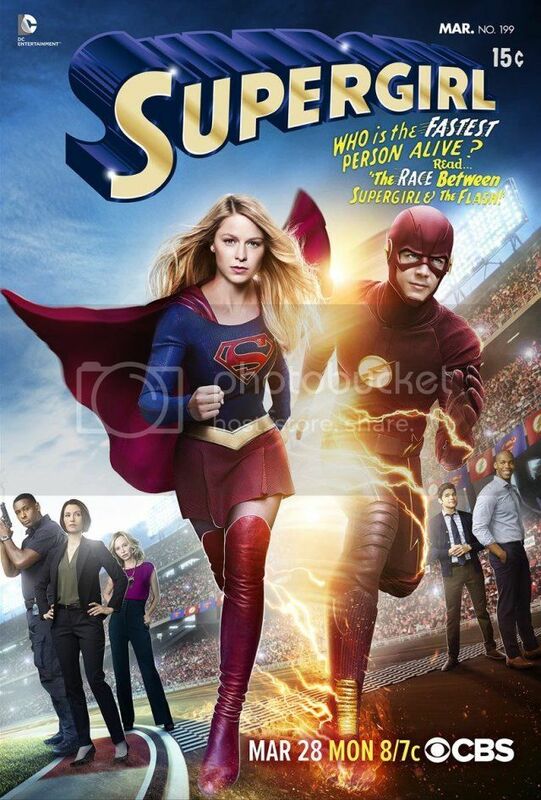 Will be the first Supergirl episode I watch. Too bad for you. She wasn’t wearing stockings for a few scenes in the pilot. Apparently, we have been warned to not miss the last 5 minutes of tonight’s Flash episode. 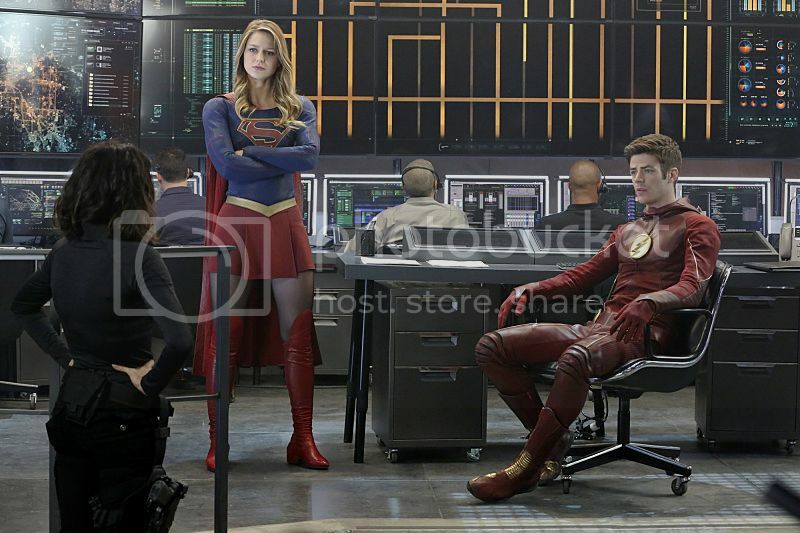 Not sure if it is because of the crossover, Zoom or something else. At the beginning of this, Kevin talks a bit about behind the scenes of Flash’ he is directing an upcoming episode. I feel like that image (at least the bottom portion) is an accurate reflection of the crossover episode. Fun and cute. Oops totally forgot about that. Guess that is what happens when you work an unplanned 11 hour day. I will have to catch it on demand. Wasn’t bad. It was definitely a Supergirl show with Flash sprinkled into the mix, though. I haven’t caught Supergirl in a few months, so I will need to go back and watch the last 7 or 8 episodes. I found it interesting that Flash references The Pied Piper in the episode, since tonight’s episode features him going back in time to their first encounter. It’s possible that his appearance on Supergirl could be an episode within an episode. 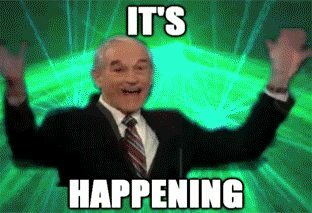 Supergirl is moving to the CW, same network as all the shows in the title, and there will likely be much closer crossovers now. Guess we have to add it to the thread title now. The CW should just be renamed “The DC,” lol. BTW, Constantine is airing 4-hour episode mini-marathons on the El Rey Network along with another DC series, The Human Target. I think moving Supergirl to CW is a great move made for the show. CBS wasn’t a good mix with what else it has in their lineup of shows. It’s not the 90’s anymore Superhero shows can’t live there anymore. So those keeping up with Legends, there was something mentioned tonight that could be interesting. They mentioned Savage eventually preventing the Thanagarian invasion of Earth. Could we see “Starcrossed” from JL/JLU as the next season?